September 8, 2017 1 comment on "How to Remove Nail Polish from Carpet"
If you find yourself with bright red nail polish spilled on your favorite carpet or area rug, don’t panic! Here are many expert tips for how to remove nail polish from carpet. You will find that there is actually more than one way to get dried nail polish out of carpet, including removing it with Windex! Tip #1: Any non-acetone finger nail polish remover will take the nail polish off and not hurt the carpet. Take a paper towel soak it down a little and wipe the nail polish off. Try to keep the area contained that you rub, at first it will look like you are smearing it around, just keep changing paper towels with a new one until stain is gone. You need to change your cloth several times so you’re not sliding polish over a bigger area. When done a liquid dish soap will get the smell out of the carpet. 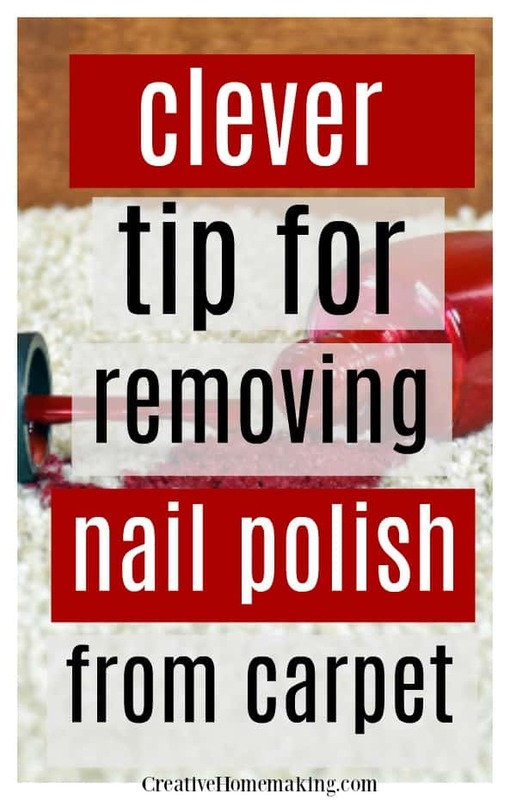 Tip #2: I use nail polish remover and blot, then Goo Gone works to remove the remaining stain. Tip #3: When I spilled nail polish on my carpet I saturated it with non-acetone nail polish remover and scrubbed it with a white cloth. After the color stopped coming out on cloth (and it was still slightly pink on the carpet) I made a mixture of liquid dish soap, hot water and bleach and continued scrubbing until the nail polish came out (for white carpets only). If that doesn’t work for you try using a fabric marker from a craft store and color over the stain. Tip #4: I spilled dark purple nail polish on my light grey carpet. When I tried nail polish remover it didn’t do a thing. Then a friend told me to try window cleaner and it worked great. I can’t even tell it happened. 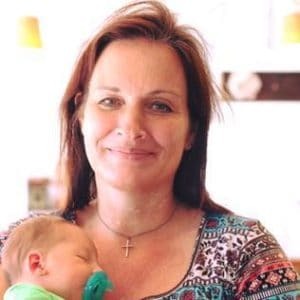 Tip #6: My 2- and 4-year-old grandsons gave me a “manicure and pedicure” for Mother’s Day, and …wouldn’t you know it? Some polish ended up on the carpet. Go figure. Well, nan’s don’t complain. Inside I panicked. I had no nail polish remover, and no carpet cleaner. I tried vinegar on it, just blotting it, not rubbing, as instructed by my most recent professional carpet cleaners. Tip #7: I tried to remove the giant purple nail polish stain from my green carpet with polish remover and all it did was smear the stain and frustrate me. I read that someone tried glass cleaner and that it worked, so I tried it. Tip #8: I live in military housing where the carpet is a cheaper variety and was mortified when I saw my girls had spilled nail polish on the carpet and tried to clean it up. I took the advice and used glass cleaner, all I had was the green multi surface type and it worked like a charm! 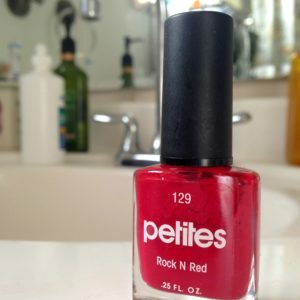 Tip #9: I picked up a bottle of opi nail polish. The lid was not tightened and it went all over the side of the couch and the carpet. It was a bright pink and my couch and carpet are tan & green. Tip #13: I just walked into my daughter’s room and was greeted by 3 large red spots of fingernail polish on our tan carpet. Tip #14: I spilt bright orange high gloss nail polish onto my cream lounge carpet! Don’t use nail polish remover – it just smears it. Tip #16: My boyfriend wanted to try to paint my nails. In his excitement, he knocked over the bottle that flipped several times on its way to the ground. Tip #18: My daughter was painting my nails and we spilled red nail polish on light green carpet. We first tried using nail polish remover, however that left a very pretty pink stain. We then attempted to use peroxide as another web site suggested, which did nothing but lighten the pink stain ever so slightly. After logging onto this web site we decided to try the Goo Gone. WOW!!! there is no trace of the stain. The Goo Gone really worked. Of course we used Q-tips to get down into the carpet fibers and scrub, but it worked. Tip #19: I couldn’t believe how well Windex removed red nail polish from my light grey carpet. 1 Comment on "How to Remove Nail Polish from Carpet"
So I was painting my nails in my room (big mistake) and as I got up I knocked the nail polish onto the carpet. I recommend using window cleaner to clean it up. It works great!